20 local artists and community organisations can create new artwork, make original music and develop their creative skills with funding assistance through the Blacktown City Council 2017 Creative Arts Fund. The skills being supported include singing, songwriting, web narratives, film-making, weaving, textiles, book-making, and multi-media performance works. “The Creative Arts Fund is an initiative by Blacktown City Council, where $40,000 worth of grants are awarded annually to local individuals and organisations to encourage artistic endeavours in Blacktown,” said Councillor Stephen Bali, Mayor of Blacktown City. Sydney Sonata Singers (Marayong) – The Sydney Sonata Singers will present a concert of Filipino choral music, broadway musical selections and popular English and Filipino songs. Baabayn Aboriginal Corporation (Blackett) – The Baabayn Young Mums Group will create a sign for the new centre, and a short film will also be produced to document the project. PIMDAN (Pacific Island Mount Druitt Action Network) (Blackett) – PIMDAN will present a series of weaving workshops teaching traditional weaving to Pacific and non-Pacific community members in a culturally appropriate way. Front Up/Ability Options (Seven Hills) – Front Up/Ability Options will present a mentoring program to up-skill 3 emerging artists in workshops facilitation. Rosie’s Place (Rooty Hill) – Artist Anna Marquez will produce a series of illustrations for a children’s book as part of a participatory research project with children at risk. Blacktown Area Community Centres (Quakers Hill) – A Blacktown artists will lead a street art project transforming the exterior of the Blacktown Area Community Centres youth bus and shipping containers. Vonne Patiag (Minchinbury) – Vonne will produce a 10-part web series exploring male friendship. Daisy Montalvo (Hebersham) – Daisy will develop an original script into a web series called Quinceanera, the story of two Latina sisters growing up in Australian suburbia. Kay Armstrong (Kings Langley) – Kay will undertake an in-studio dance investigation looking at self-portraiture and the body. Van Carlo Sereno Ilagan (Lethbridge Park) – Van will write and record a new collection of original, inspirational songs. 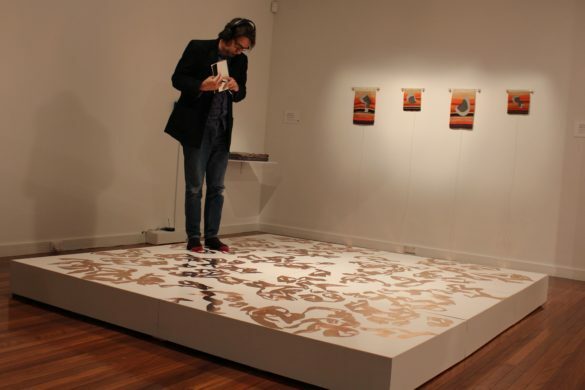 Rosalind Stanley (Blacktown) – Rosalind will develop a series of large-scale mixed media works on canvas and paper which examines the diverse culture of Blacktown, and our interconnectedness. 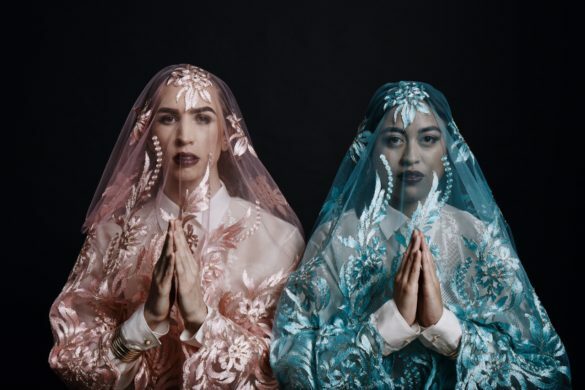 Kealoana Stevenson (Mount Druitt) – Kealoana is a Samoan singer/songwriter who will record original music, and promote and distribute her new works digitally. Angela Paikea-Crombie (Doonside) Angela will undertake an online professional development course with a master weaver based in New Zealand. Michelle Vernot (Toongabbie) – Michelle will develop and produce a collection of grand ball gowns constructed from found objects. Melissa Chaney (Blacktown) – Melissa will produce a series of hand-bound artist books using printmaking techniques exploring the theme of the human condition, and more specifically childhood heart disease. 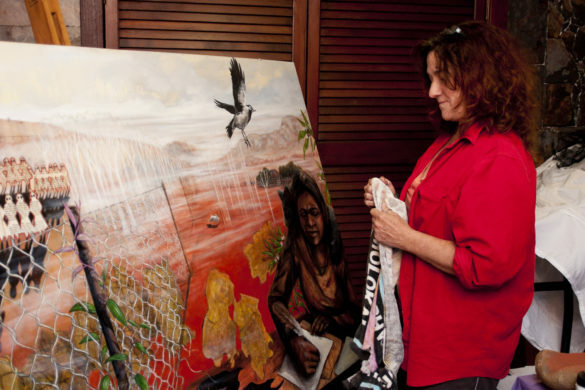 Kathleen Cardona (Quakers Hill) – Kathleen will develop a collection of digital photography prints titled The Odyssey. Mary Mamour (Rooty Hill) – Mary will produce two video clips to accompany her original songs about the power of faith. Ian Escandor (Mount Druitt) – Ian will develop a mentoring program to write and produce theatrical songs with Chrissy Mae for a musical in Mount Druitt. Abdullah M. I. Syed (Mount Druitt) – Abdullah will commission a writer to produce an artist profile and a critical essay for the exhibition catalogue for The Comedy of Divine Economy, his major solo show in New York. George Tillianakis (Blacktown) – George will develop a video performance installation investigating ways in which men deal with pain and loss. 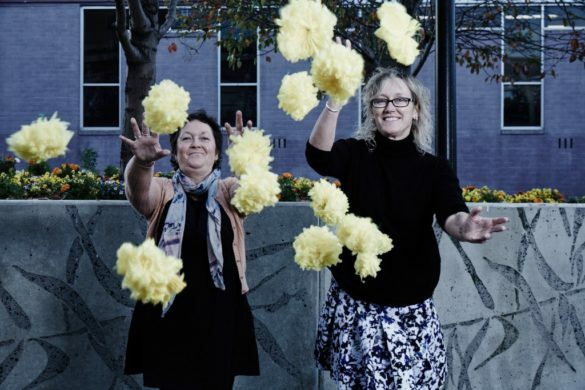 “The Creative Arts Fund provides local artists with a unique opportunity for professional development,” said Jenny Bisset, Manager, Arts & Cultural Development Section Blacktown City Council. “It gives developing artists the opportunity to explore creative connections with communities and experiment with new art forms. 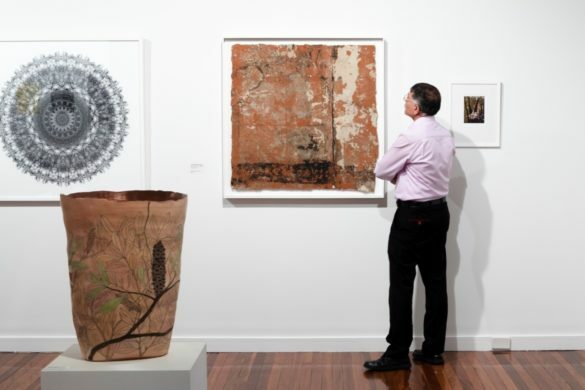 “This is how we like to make art in Blacktown: we build connections, encourage innovation and nurture local talent,” she said. 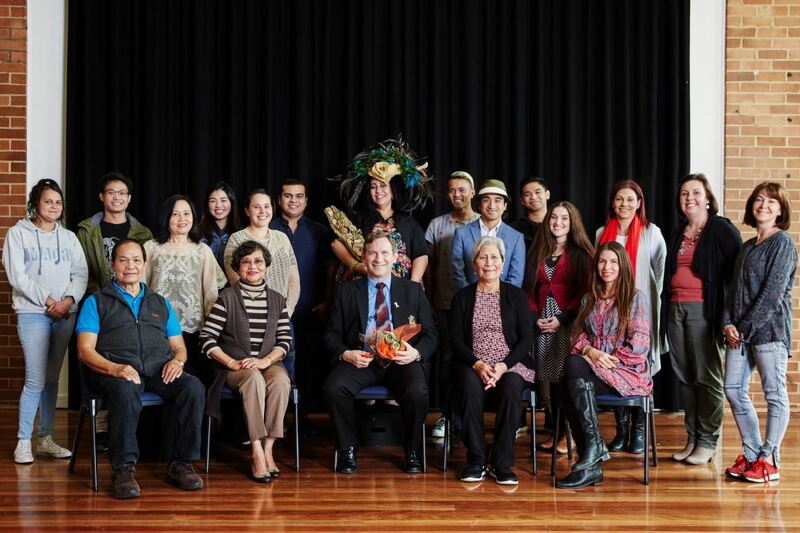 Recipients of a 2017 Creative Arts Fund grant, by Joshua Morris, 2017.